With more than 560 people wounded since the fighting started on April 4, World Health Organization said it was sending more medical supplies and staff to Tripoli. On its Twitter feed, the agency denounced "repeated attacks on healthcare workers" and vehicles during the fighting. Gen Haftar's offensive began shortly before a conference set for this month to discuss Libya's future. Al Jazeera's Mahmoud Abdelwahed, reporting from Tripoli, said LNA sources confirmed one of the forces' fighter jets was shot down but added the pilot had "escaped" after using a parachute to eject from the unit. Libya's Khalifa Haftar was in Egypt on Sunday on a previously unannounced visit, taking time out from his Libyan National Army's march on the Libyan capital to hold talks with his Egyptian sponsor, President Abdel Fattah El Sisi. Gen Haftar also has the support of some Gulf Arab states and Russian Federation. The sides in the civil war "which were fighting Daesh are now fighting each other", said Tarek Megerisi, a policy fellow with the North Africa and Middle East program at the European Council on Foreign Relations. 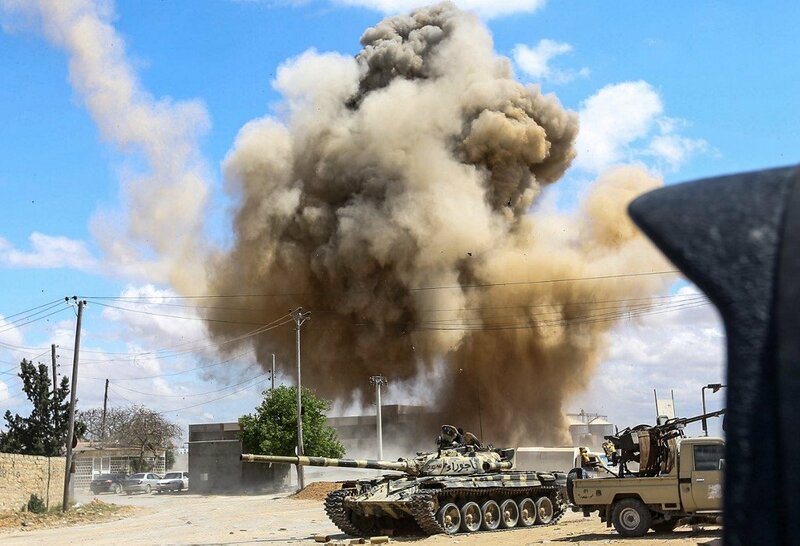 The LNA accused the Tripoli forces of an air raid against civilians in the Gasr Ben Ghachir region south of Tripoli. GNA spokesman Mohamed Gnounou said his forces had carried out 21 air strikes targeting LNA positions and supply lines between Friday and Saturday. But analysts believe the campaign on the capital of a UN-backed government could potentially reignite large-sale fighting among the country's rival powers and undermine global efforts to reunite the fractured North African nation.